De facto Law Minister Liew Vui Keong said it was unwarranted for Sarawak Chief Minister Abang Johari Openg to lay blame on the secretariat staff that prepared the amendment to Article 1(2) of the Federal Constitution. This after the amendment was defeated in the Dewan Rakyat after Gabungan Parti Sarawak (GPS), led by Abang Johari, refused to support the change on grounds that the wording was not up to expectation. The amendment was to list Sabah and Sarawak separately from the 11 states in Peninsular Malaysia to signify that the two regions were equal partners to Peninsular Malaysia and cannot be considered as only two of 13 states. GPS had wanted the words "Malaysia Agreement" to also be mentioned in the constitutional amendment and accused Liew's staff of "mishandling" the amendment. 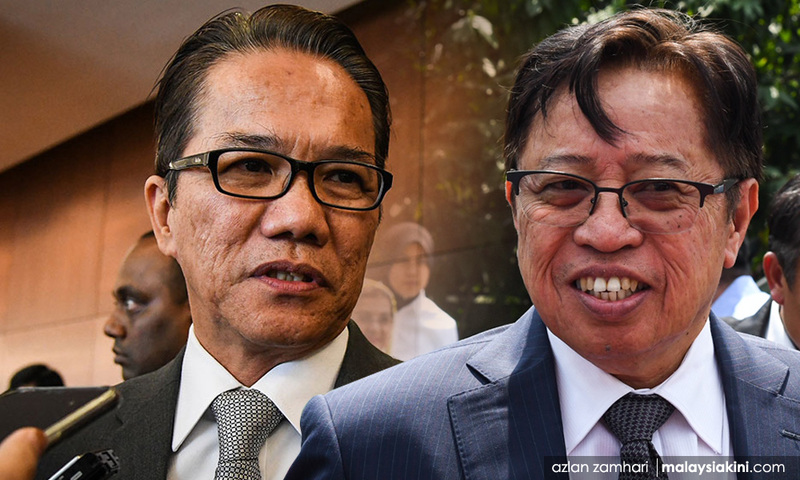 However, Liew defended his staff who comprise personnel from the Prime Minister's Office (PMO), Legal Affairs Department (BHEUU) under the Prime Minister's Department (PMD) and Attorney-General's Chambers. "The statement, if made, is totally unwarranted as it has undermined the confidence and morale of the staff ranging from the PMO, BHEUU and AG's Chambers," he said. Liew said staff from the agencies have "contributed and sacrificed so much" in their effort to bring about changes. "During the last few weeks or so, my relationship with every one of them grew fondly as we spent time together in the PMD and Parliament until late hours to ensure all the paperwork and documentation were done accordingly for the cabinet's approval and tabling in Parliament. "I fully respect their professionalism in carrying out their public duties for states and country," he said. He also thanked Parliament staff for their "unwavering support and dedication". Liew said all of them can stand tall for having carried out their duties. He added that the decision of 59 MPs to abstain in the vote, including those from GPS, should be respected. However, Liew said future generations will evaluate the vote, whether it was right or wrong. Liew said it was undisputed that Prime Minister Dr Mahathir Mohamad wants to restore Sabah and Sarawak's position in line with the spirit and intention of the Malaysia Agreement 1963. The constitutional amendment received 138 votes, just shy of 10 votes for the required two-thirds majority to get the amendment passed. The 138 MPs who supported the amendment in the April 9 vote were from Pakatan Harapan, Upko and independent MP Anifah Aman. There was zero objection while 59 MPs, comprising those from BN, PAS and GPS, abstained.